Mini-PDP with Lauttasaaren lukio at Urban Mill | Urban Mill – Building IntenCity! 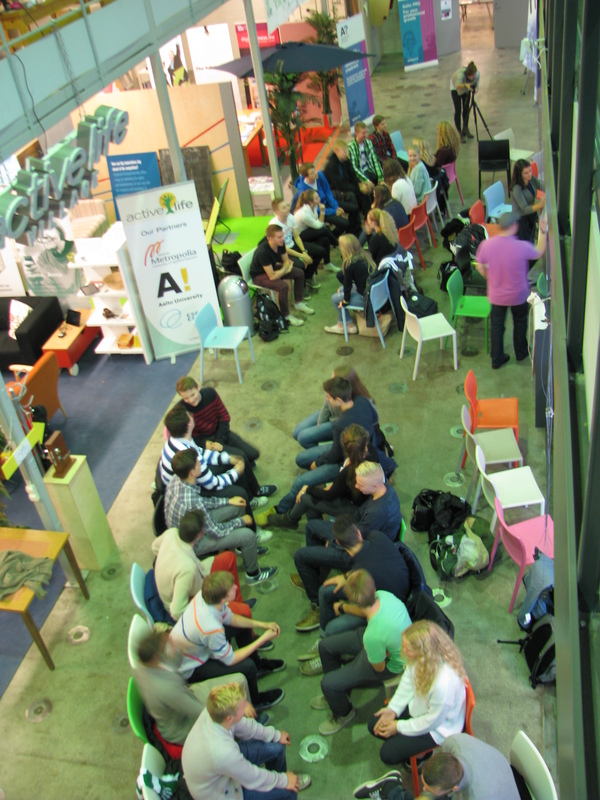 Lauttasaari High School students started their own mini-PDP (Product Development Project) course at Urban Mill. Andy from Design Factory and Natalie from Startup Sauna will run twice a month workshops at Urban Scene. The co-learning and co-design concept is the same as at the Design Factory for the university students. Two companies gave design challenges to students and we’ll see the results of their work at the PDP Gaala next spring. This entry was posted in Kumppanit, Kurssit, Tapahtumat, UrbanMill, Uutiset, Verkosto by larsmi. Bookmark the permalink.